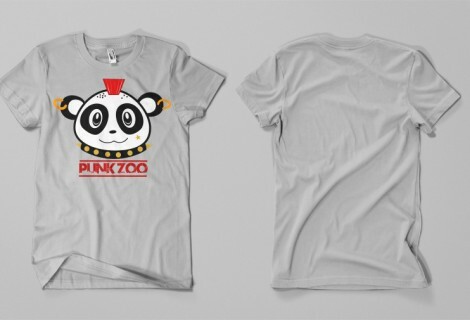 December is the official launch of the Punk Zoo clothing line. Punk zoo is an original concept I came up with. 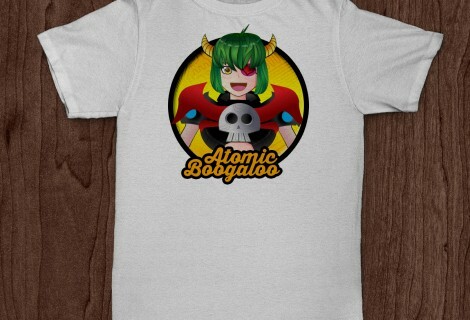 Inspired by Japanese punk rock shirts and manga in general. King Neko is the first design in a series I will be producing. Support Local Art, Support Small Business. 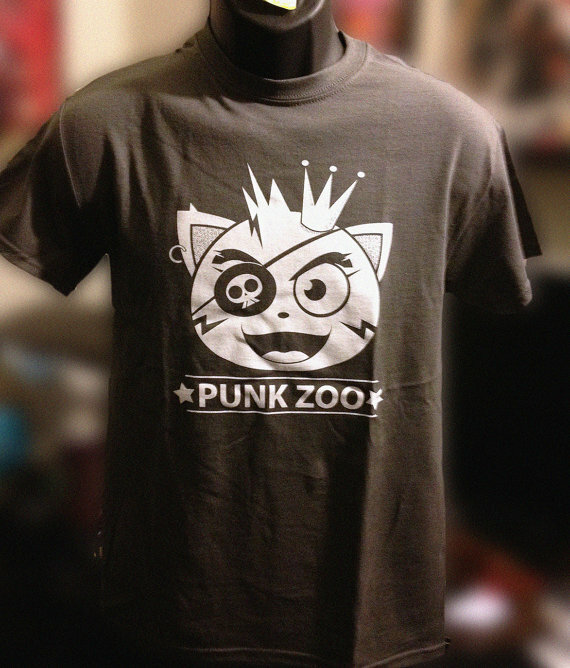 Punk Zoo King Neko, original character illustrated t-shirt by Atomic Boogaloo. Printed with one color, white on asport gray Gildan heavyweight shirt.